Birth Pool in a Box personal use regular size pool comes with one liner and instruction booklet.The use of water for labour and birth has proven benefits. 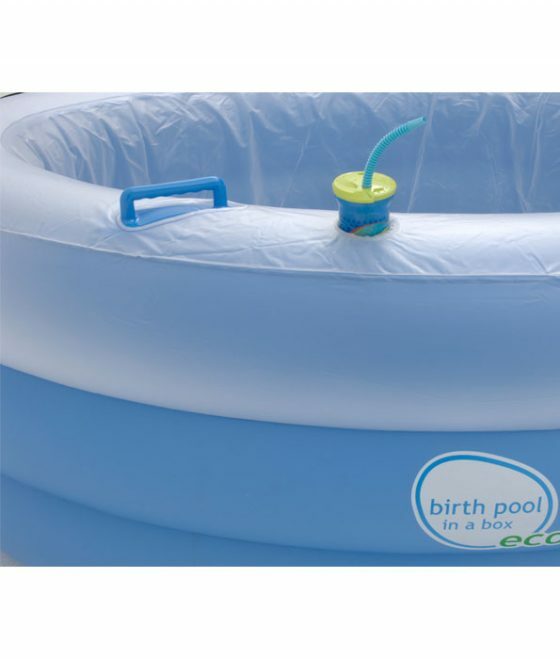 But not all birthing pools are equal. Birth Pool in a Box aims to provide the most comfortable, convenient and safest birthing pool at a reasonable price. 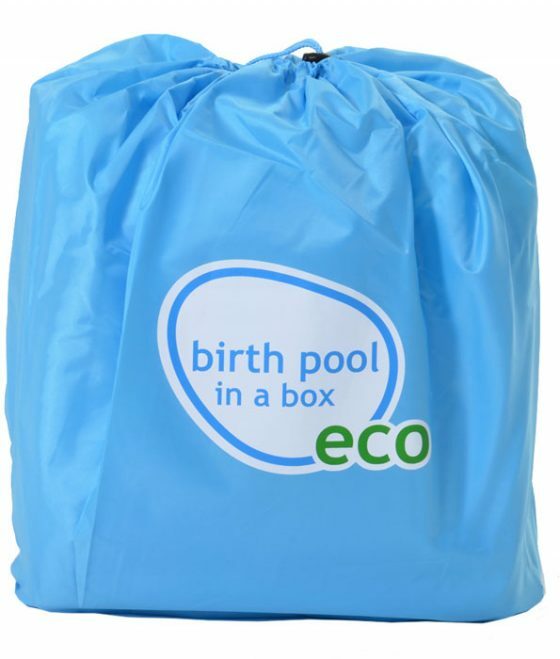 Birth Pool in a Box personal use regular size pool comes with one liner and instruction booklet. 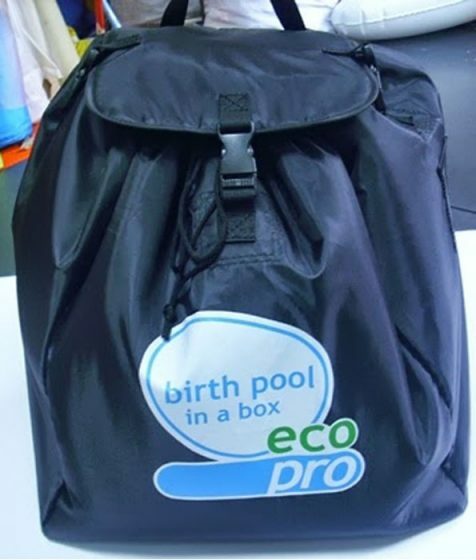 Birth Pool in a Box is compatible with the Birth Pool in a Box Liners for Regular Pool and the Fitted Heat Cover for Regular Pool. 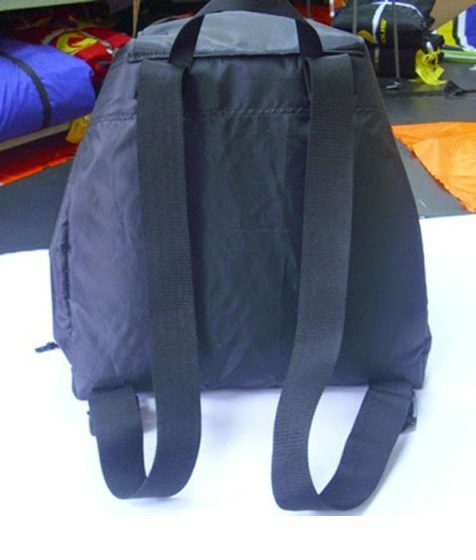 The heat cover and additional liners can be purchased separately. 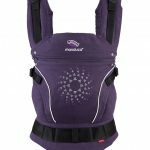 is fit for purpose: certified by medical device regulators in Europe and the USA. Evidenced by the CE mark. 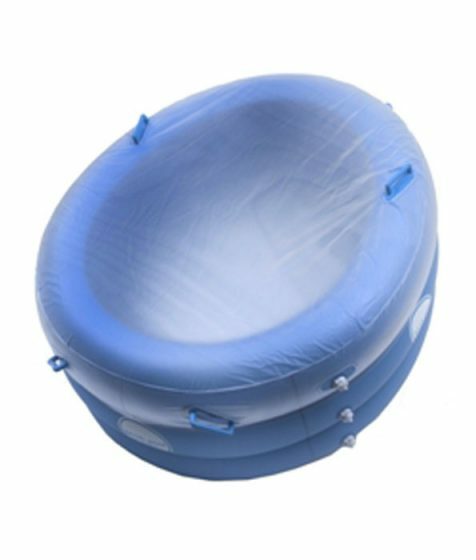 “The only inflatable birthing pool I wholeheartedly recommend.” – Barbara Harper, RN, CLD, CCCE, Founder of Waterbirth International and leader in waterbirth credentialing. 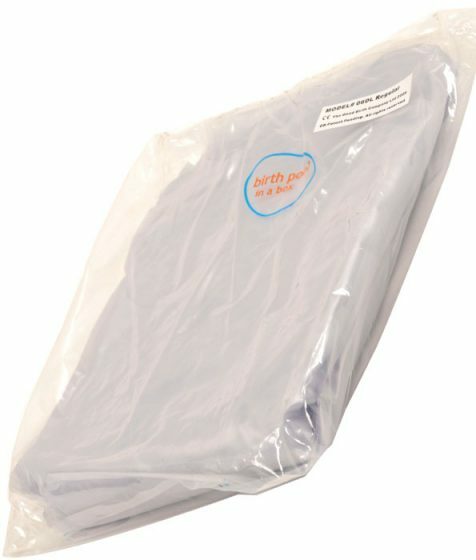 A. Fitted disposable liner – Midwives advised that a new liner for the birth was a necessity from a hygiene perspective, while allowing for mothers who wanted to do trial-runs to do them. 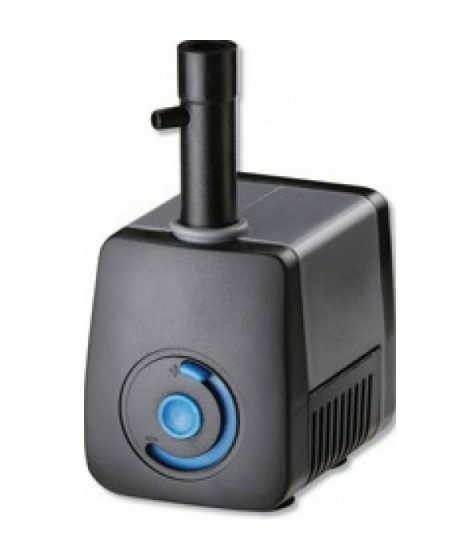 The liner also acts as a redundant container for the water in the pool and makes cleaning up simpler. 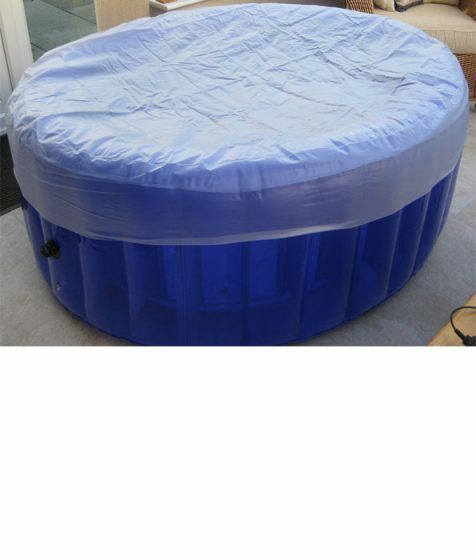 The pool comes with one liner and additional liners are available as extras. 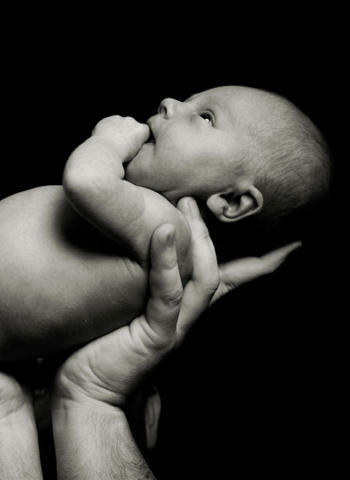 B. Adjustable height – Midwives said that some mothers needed lower sides for ease of entry and exit. 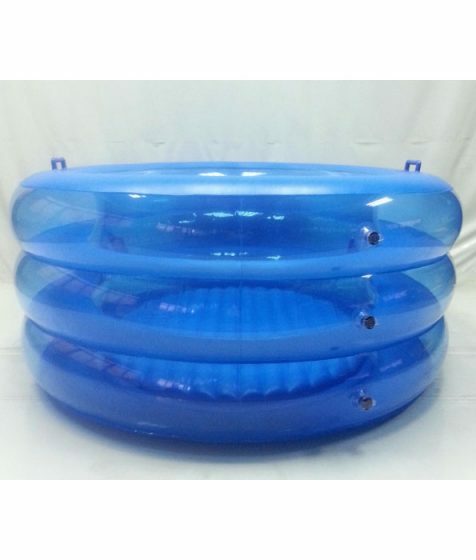 Just release some air from the middle chamber and top up the other two for a stable pool with lower sides. C. Double-reinforced top handles – Mothers asked for handles here to give them control over their movement in the water. 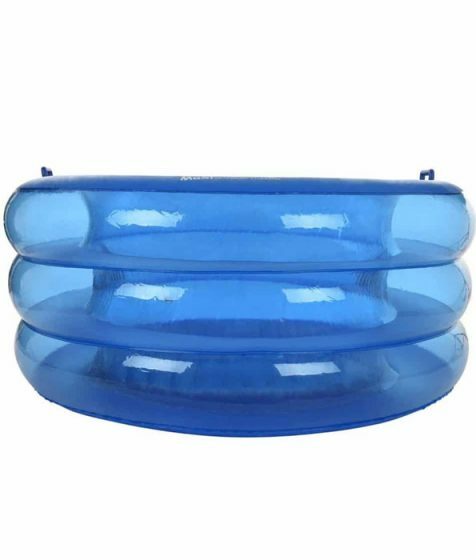 They are also useful for gripping during contractions and to hold onto while getting in the pool. D. Soft 2″ high floor chamber – Mothers wanted extra comfort on the pool floor. Any higher reduces water depth. 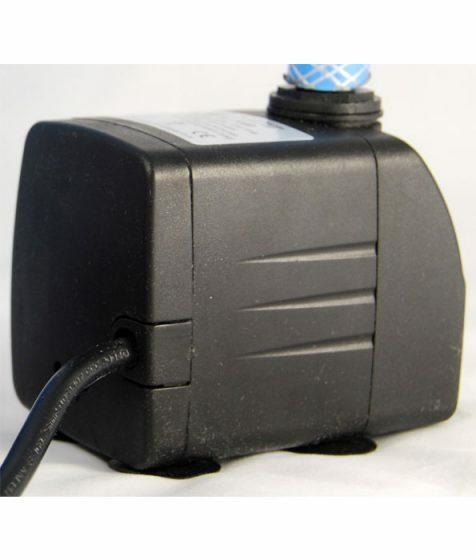 E. No drain plug – Midwives and mothers agreed that a drain plug was an unnecessary weak link in a birthing pool. 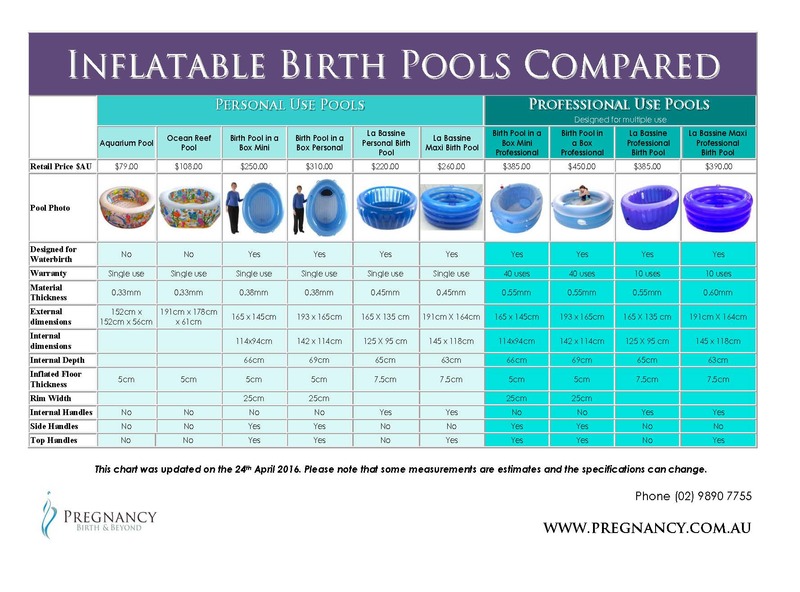 F. Choice of two sizes – Some mothers had limited room space, some wanted their partners to join them and some wanted as much freedom as possible in the pool. So we made the pool in Regular and Mini sizes. 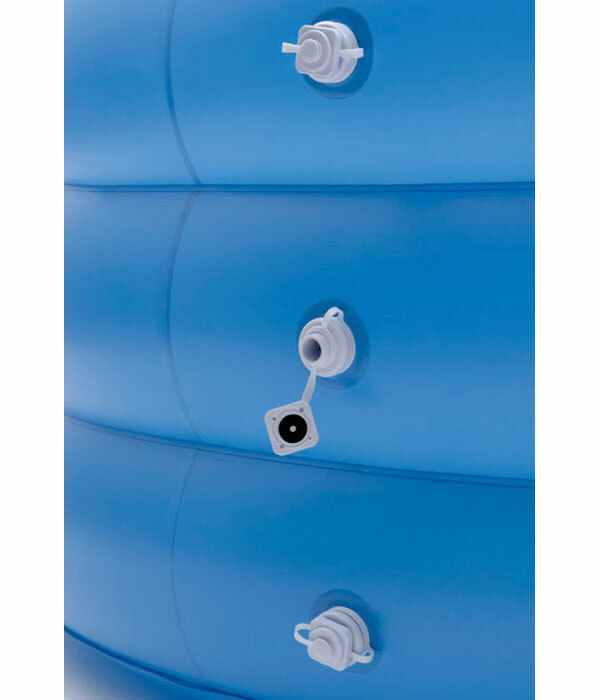 G. Three separate chambers – This is safer than a single chamber in the event of an accidental puncture in the pool walls. H. Opaque external wall – Mothers unanimously agreed that the opaque external wall increased their sense of privacy. 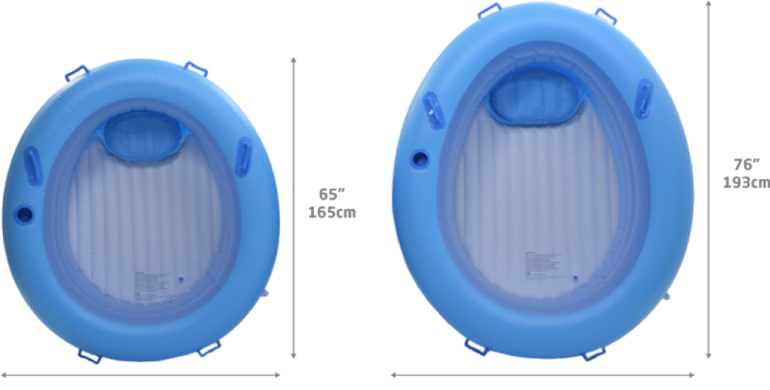 I. Egg-shape – Some mothers wanted to be cosseted while others wanted space, so we made the pool narrower at one end and wider at the other. J. Double-reinforced handles – Mothers requested these strong handles on the outside of the pool (2 sets, uniquely positioned) for use when leaning over the side. They are angled at 30 degrees for maximum comfort. 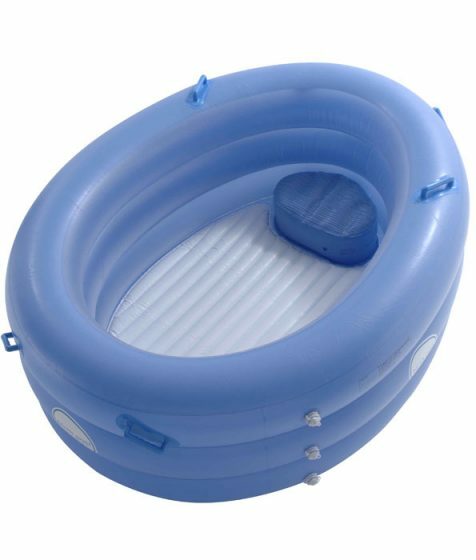 K. Tested for quality, durability and stability – Each pool is factory tested to ensure that it has no defects and then 5-10% are randomly sampled and tested again by independent inspectors. The sides are strong enough to allow a 15-stone person to sit or lean on them. L. Plain blue rim – Mothers said they wanted a clear space to rest their heads with no distracting text or images. 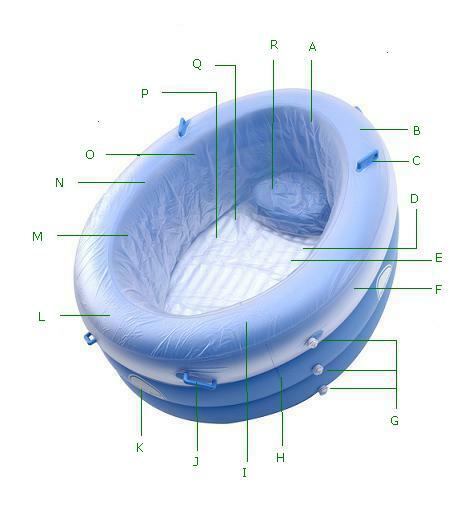 M. No internal handles – Midwives and mothers agreed that internal handles might obstruct full movement and prevent effective use of a liner. 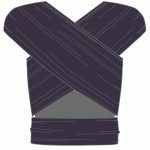 N. No rough edges – Mothers requested that seams be smooth where they rest their heads. O. Clear inside wall – Mothers liked the perception of larger space created by having a clear inner wall. P. Space for partner – The Regular pool has space for your partner should they want to catch your newborn as he or she emerges. Q. 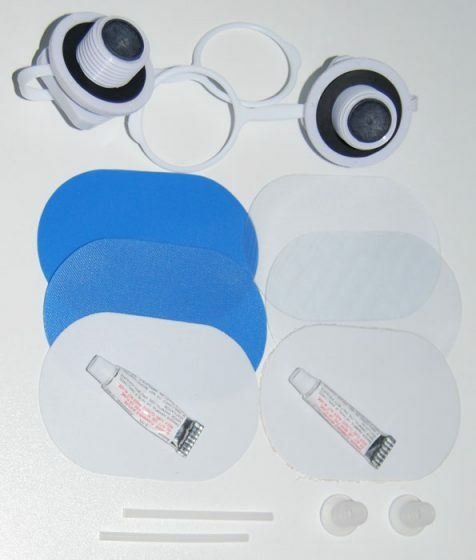 White floor – Midwives requested a white floor to enhance visibility. 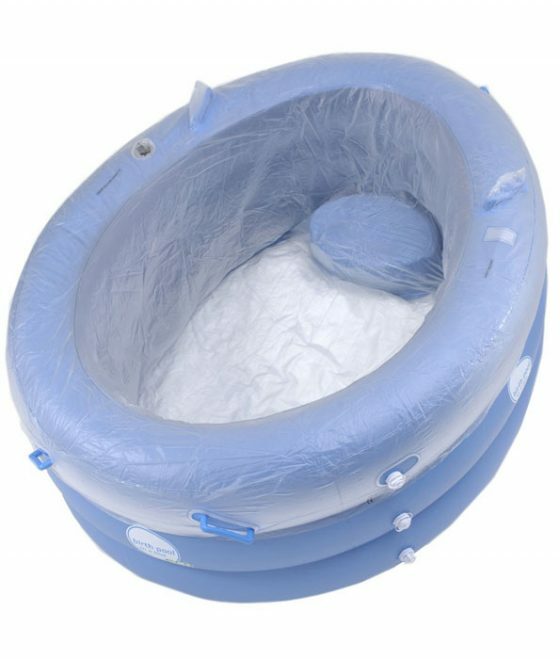 R. Internal seat – Mothers requested a comfortable place to sit while they bonded with their newborn.